I have been making my own lard and loving every single recipe that I use it in. I have a how-to coming out soon for making lard at home. I am using more buttermilk in my gluten free recipes as I have noticed the recipes are turning out a bit better than if I use plain milk. These biscuits were one of the first things I tried with the lard. I can't say enough how delicious these are. 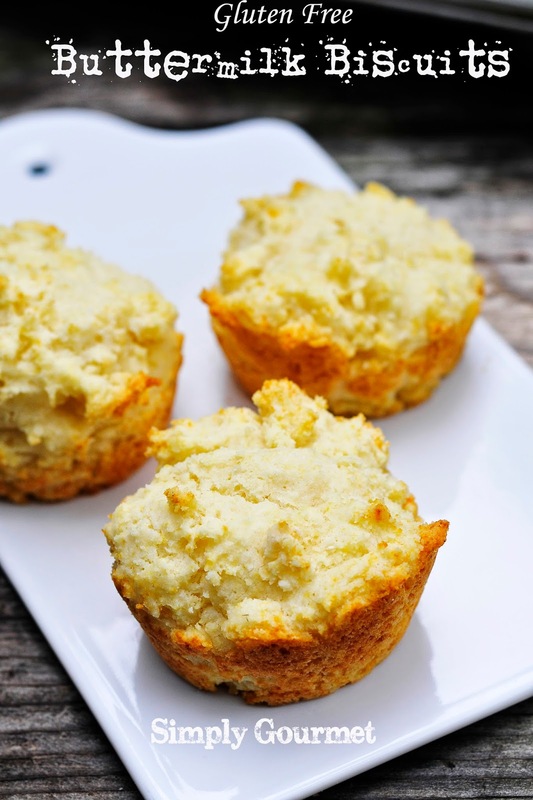 They are soft, airy, crisp on the underside, buttery and taste like a real biscuit. My family cannot get enough. In fact, I usually make two batches. I have never doubled the recipe--I just make two separate batches. 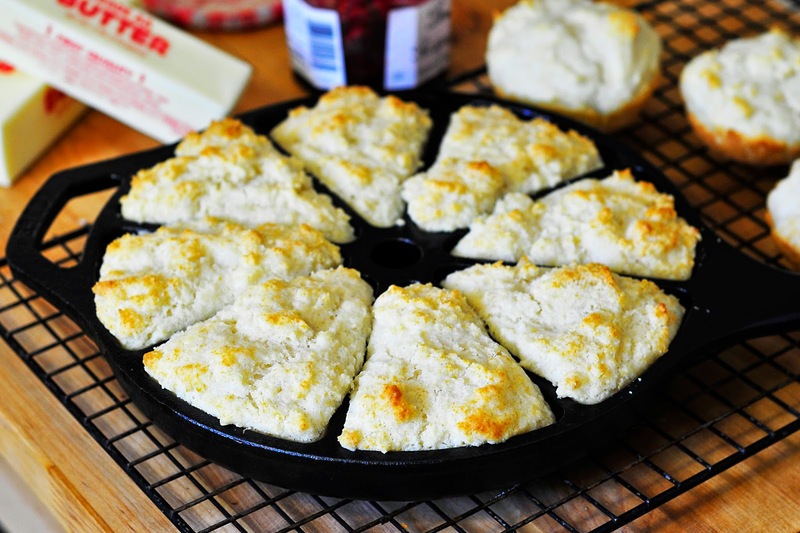 I bought this cute cast iron cornbread/scone pan and used it to make the biscuits. The biscuits are a drop style and so they will spread out a bit if not contained inside of a form. This is why I used this cast iron pan to make the biscuits a little thicker. Either way they taste great. The use of this pan is more for appearance purposes than flavor or texture. See below. I asked my hubby to help me hold a few biscuits. In the process I think he ate three. I hope from the two pictures below that you can see how soft and fluffy they are. 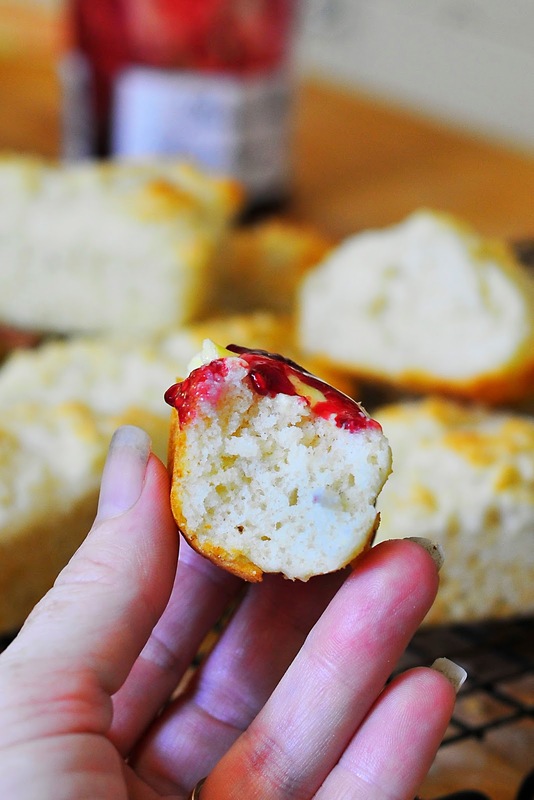 I have made these many different ways: as a drop biscuit, in a cast iron corn pan, muffin pan and dropped close together into a large baking dish for pull apart biscuits. Each time they have turned out the same: airy on the inside with a nice bite on the outside. Let me know what you think. I will be experimenting on some fun recipes with this biscuit recipe as the base. I am finding that the recipes are more consistent when I give measurements in volume (grams). I recommend a scale for your kitchen. I have also listed a cup size but it is just an estimate as each time you measure a 1/2 cup the weight may be off a bit. This has a huge impact on gluten free recipes. To be sure that the recipe turns out every single time, weighing the ingredients is more accurate than measuring them. 2. In a medium bowl, combine dry ingredients and sift once. Sifting helps combine the dry ingredients and sifts out any clumps. 3. Add the lard to the dry ingredients. Use a pastry knife to cut in the lard. The flour mixture should be crumbly. 4. Mix the wet ingredients in a small bowl and beat a few times to incorporate the whites into the buttermilk. 5. Combine the wet and dry bowls. Use a spoon. Do not use a mixer. Stir until well combined and the texture changes from smooth and thick to very airy and fluffy, about 1 minute. 6. The dough will almost set--filled with little air bubbles. This is what you want. Carefully spoon biscuit dough onto a cookie sheet. Space them two inches apart--they will spread. If using a shaped pan (like the cast iron one mentioned above) fill 3/4s of the way. 7. Bake for 8-10 minutes. Depends on each oven but they should just start to be brown on the edges. Remove to a cookie rack to cool for a few minutes. Store leftovers in an airtight bag. I have yet to have leftovers though. 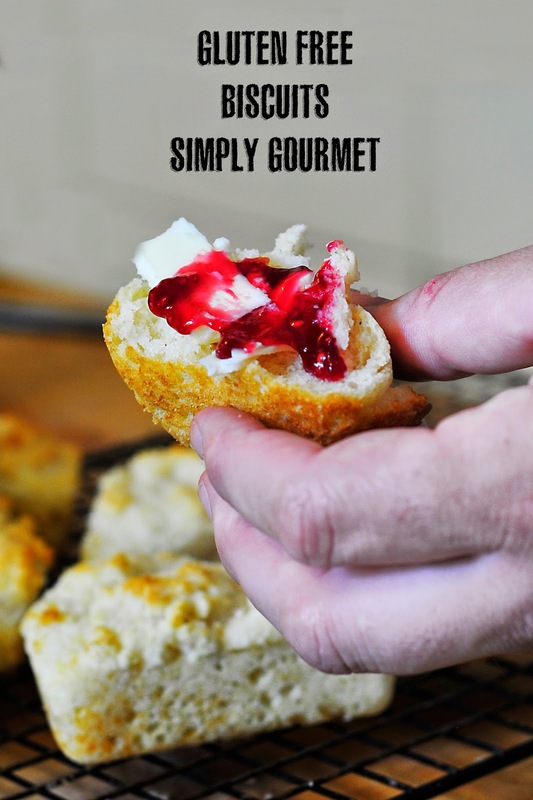 **I used a muffin tin and this works really good to achieve the biscuit at the top. These look so delicious, Sherron! I didn't know you could make your own lard, I'm anxious to see your how-to! Pinning and stumbling! Amazing! I'll have to try these for my boys!